The preventable loss of a child’s life in West Cork in 2006 was the catalyst that led to the formation of ICRR. Galvanised by the tragedy, community members embarked on a mission: to expedite the delivery of professional A&E care to life-threatening emergencies in rural or disadvantaged urban areas. By harnessing the goodwill of local doctors and advanced paramedics, the West Cork community established Ireland’s first voluntary Rapid Response organisation. When you call Ireland’s emergency numbers, 999 or 112, to report a life-threatening medical emergency, an ambulance will be dispatched from the nearest hospital. 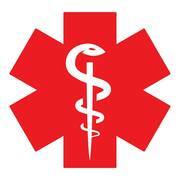 At the same time, the emergency service will deploy the volunteer medical professional/s nearest to you.